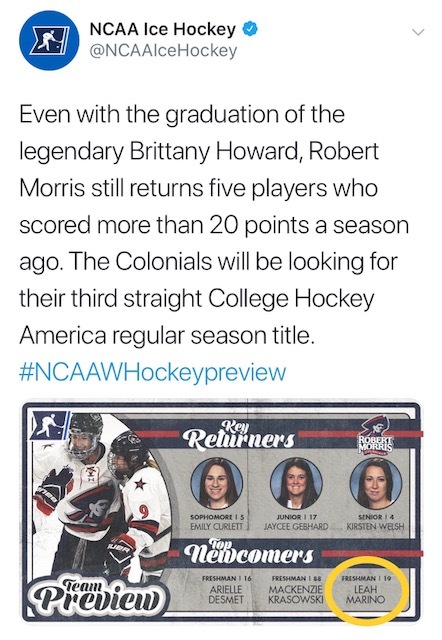 NCAA Ice Hockey picks Club 100 Member, Leah Marino as top newcomer. Leah trains with legendary Eufay Wood of High Octane Training. Top newcomer, Leah Marino, Freshman, 19. Congratulations Leah!